Demi god Perseus embarks on a perilous journey to stop Hades from the underworld and its minions from spreading their evil to Earth as well as the heavens. I have failed to see this movie twice - I simply fell asleep. It has intense action scene and impressive visual effects (maybe a bit over the top though). The plot is lame and most of the parts are written with dialog and actions that would fit an episode of Buffy the Vampire Slayer. I am very into action movies, so making me fall asleep twice is NOT a good sign. I would recommend that you have a good nights rest, forget all the details you know about Greek Mythology and lower your expectations a few degrees before watching this. Was exactly what I expected, but not at all what I hoped for! I expected at lame story with some awesome action moments. The lame story is there, and especially the begin where the setting of humans be mad at the gods are told, is so bad. The acting of our heros father is terrible(well the script is actually what is wrong here). And also the concept/visualization of the gods on Olympus just disappointed me. I hoped for plenty of jaw dropping action, and It didn't deliver on that either. I mean: there wasn't enough of it! The stuff that was in there was good. It features more or less 3 epic 'boss' fights. 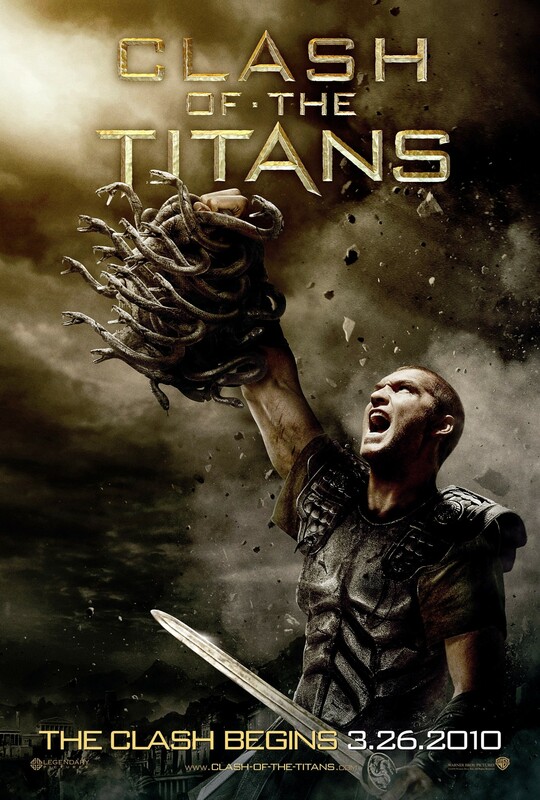 Giant scorpions, Medusa and a giant monster called The Kraken, all good entertainment. And the fact that no life is too sacred, makes some of the fights rather unpredictable. Any way they should kept to the action and telling less story. And by the way. The Danish cinemas showing this movie in 3D for 125 dkk is a total rip off! Wait for it to arrive on cheap dvd.